This old hunting lodge, built in the 17th century, owes its name to the historic figure of Ogier de Gourgue who was an adviser to King Louis XIII, Treasurer of France and Commissioner of Finances for Bordeaux during the second half of the 16th century. 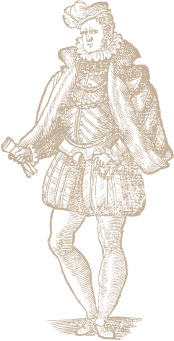 Ogier de Gourgue, Lord of Vayres, built his fortune by investing in land and domains. After being passed down to his eldest son Marc Antoine de Gourgue, who was the first President of the Bordeaux Parliament, the Château then changed hands several times during the following centuries. For the last two decades it was in the hands of the Foures family and has belonged to the current owners, the Vincent family, since 2010. Jean-Marc Vincent, the head of a public works company and an avid wine connoisseur, fell under the spell of Château Ogier de Gourgue and decided to devote himself to his passion for vine-growing and wine. On his arrival, he undertook major renovation work and modernisation of the facilities. The only existing vat house was turned into a fermenting room fitted with stainless steel, conical, temperature-controlled vats. The barrel cellar was redesigned and re-sited underground to provide better conditions for ageing and maturing. In September 2012, his daughter, Claire, with her background in the luxury and beauty industries, came to join him in his new adventure! Together, father and daughter decided to pool their talents to lead this property on the path to excellence.